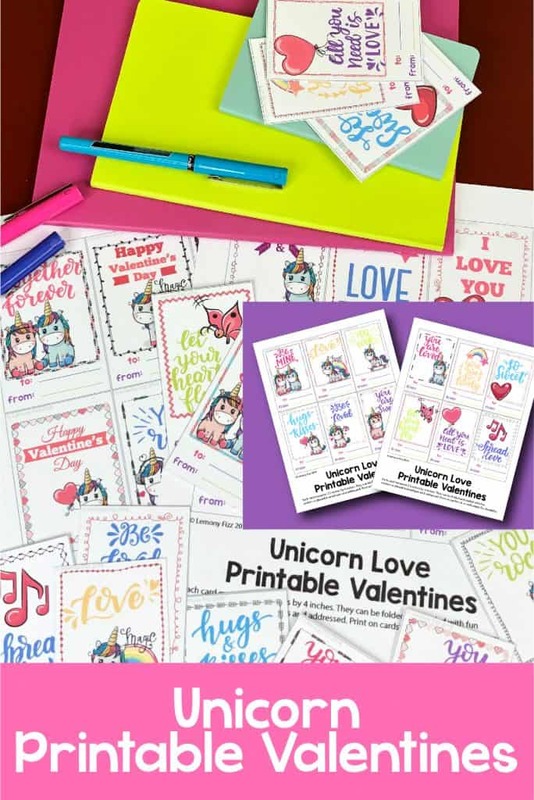 Valentine printables cards are a great way to make a unique set of valentines for your child or yourself. There are loads of pre-made Valentine cards that you can purchase at the store. However, everyone else is grabbing the latest and greatest cards of the season as well. If you have a variety of printables, you can mix and match. 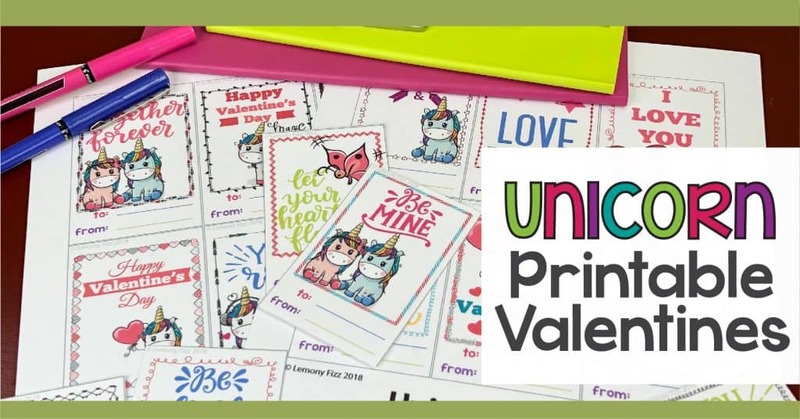 Print some unicorn valentines for the unicorn lovers in class and print other designs for those kids who maybe aren’t as crazy for the magical beasts. Each page includes 6 designs (there are a total of 24 cards in this download). Set the print size to “Actual Size,” “Fit-to-Page”, “Page Scaling- None,” or similar to avoid scaling the pages when you print. 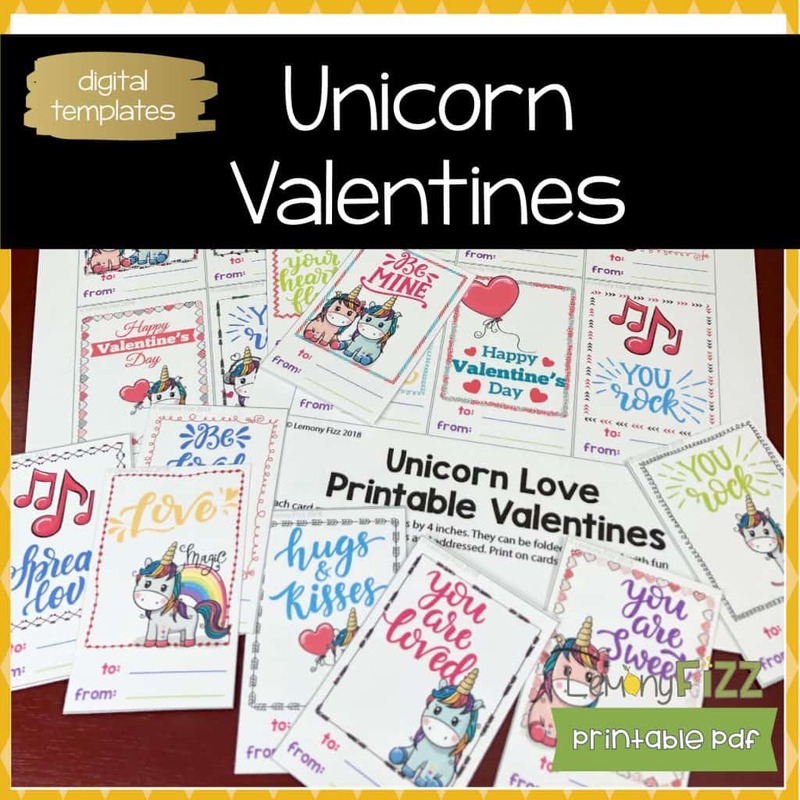 These printables are for personal use only. You may print them as many times as you like.